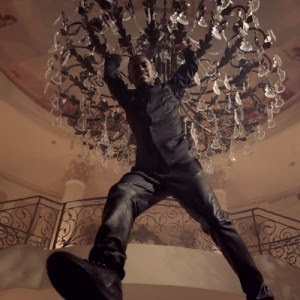 Big Sean takes on a Diddy and hangs himself from some chandelier lights in a mansion in his new video for 'Mula'. I guess this is something that rich folks do. The song which features rapper, French Montana is off Big Sean's debut mixtape Detroit.